There will always be those that deny that humans have any effect on the earth’s environment. But the evidence is in! It is time to focus not on whether we are altering the global system but how we can best slow the rate of changes. June 2, 2015–More than 100 years ago (1896) Svante Arrenius, a Nobel Laureate, made a study of the relationship between carbon dioxide and global temperatures. He concluded that the burning of fossil fuels could result in increasing temperatures. In the 1930’s, a meteorologist named G.S Callendar, examined the temperature data from around the world and determined atmospheric temperatures were increasing. He also believed that the use of fossil fuels would lead to a warmer planet. In the 1950’s Charles Keating and Roger Revelle demonstrated that a large part of the carbon dioxide emissions from burning fossil fuels was accumulating in the atmosphere. About this time global temperature measurements began to show a slow and erratic increase. Over time the increase became well documented and the rising temperatures began to alter many natural processes on Earth. In the past several decades the concentration of carbon dioxide and other greenhouse gases has accelerated. In 1997 in Koyoto, Japan, an international conference on what was then being called global warming was convened. Many nations were represented at the Koyoto conference indicating a global awareness of the problem related to the additional greenhouse gases in our atmosphere. But–the largest contingent at the conference was that of energy corporations. They lobbied with the premise that global warming was a natural event and human activity had nothing to do with global warming. These deniers nearly prevailed! Only the efforts of then Senator Al Gore and a few others bought about a plan to reduce the greenhouse gases. Many nations set goals for reducing their contributions of carbon dioxide. 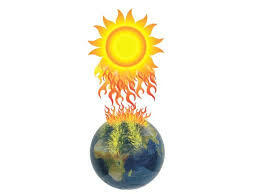 The reference to the process of global warming gradually was replaced by the phrase climate change. 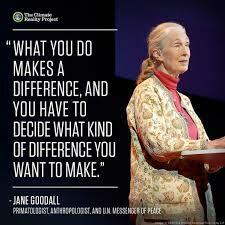 Climate change does not imply any hazard, just change! In one sense, the phrase “climate change” is more benign than global warming. Global warming has a more definite connotation of a threat than does climate change. However, implicit in climate change is the fact that there is more involved in change in the atmosphere than just temperature. Climate consists of all different kinds of weather that occur in any area. It includes average temperatures, and seasonal changes. Climate also includes extremes that may occur in terms of temperature and precipitation. Temperature extremes may include extreme heat or cold. Climate also includes extreme precipitation and propensity to drought. Thus, climate change implies there are many more changes taking place in the atmosphere other than just temperature. The result of massive data collection around the earth documents both global warming and climate change. It has now become apparent that the changes in climate, that are currently taking place, effect all aspects of the environment. Every region is made up of the atmospheric conditions, the flora and fauna, the water supply, and the land surface itself. Climate change is altering many regional systems such as the tropical rainforests, the grasslands, and even the world deserts. The Arctic basin is a good example. Not only has the region warmed but the Arctic Sea has changed from being largely frozen summer and winter to more and more ice free in the summer. This has greatly altered the lives of most inhabitants of the region. Perhaps most significant are the changes in the world ocean. The world ocean covers the majority of Earth’s surface and it is warming and becoming more acidic. These ocean temperatures determine the average air temperature of the planet! The height of the ocean is also rising, reducing the amount of land surface. This connectedness in earth’s regional systems has resulted in the coining of the term “Gaia”. The term implies that the earth is a living, ever changing system. The concept of it being a living system has been questioned. However, it is well established that when a region of our planet experiences change in some aspect of the environment, it results in changes in the entire system. What began as the discovery of global rising temperatures has now morphed into a much broader and more inclusive recognition of 21st Century global environmental change. Human activity no effects the entire planet from pole to pole. The most important question of our time this: How much longer can we continue on the present path before the global system can no longer function in a manner that has supported life on the planet for millions of years. All indications point to the fact that time is running for making major changes in world policies. Categories: Climate Change, Disappearing Ice Shelves, Extreme weather, Fossil Fuels | Tags: Arctic Ocean, Climate change, Co2 and Global Warming, Declining Sea Ice, Kyoto Protocol | Permalink.